Last few weekends we were so busy that could not get time to purchase fish from the Bangladeshi store. Finally this weekend anyhow managed to go and purchase some fish from there. If fish is not at home really it’s a difficult time for me then because every day I have to think what to cook. That was really a horrible job. 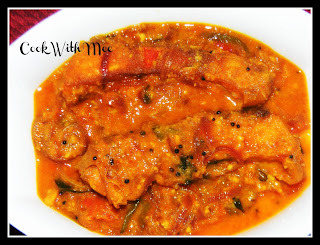 Fish curry in any style we enjoy every time. Previously also I tried one Kerala fish curry which was awesome so again tried to cook a fish curry in Kerala style. And this time I made Malavar Macchi recipe courtesy my friend Sunita. The fish curry which I cooked with coconut, curry leaves and tamarind. The taste was just too good. My husband doesn’t like the sour taste in food that much. But he just loved this one. And the cooking procedure is so easy. So any day u can try this one. 1.Fish of your choice (any big fish): 4 piece. 4.Two chopped green chilies and few curry leaves. 5.One tea spoon ginger garlic paste. 6.Two table spoon grated coconut. 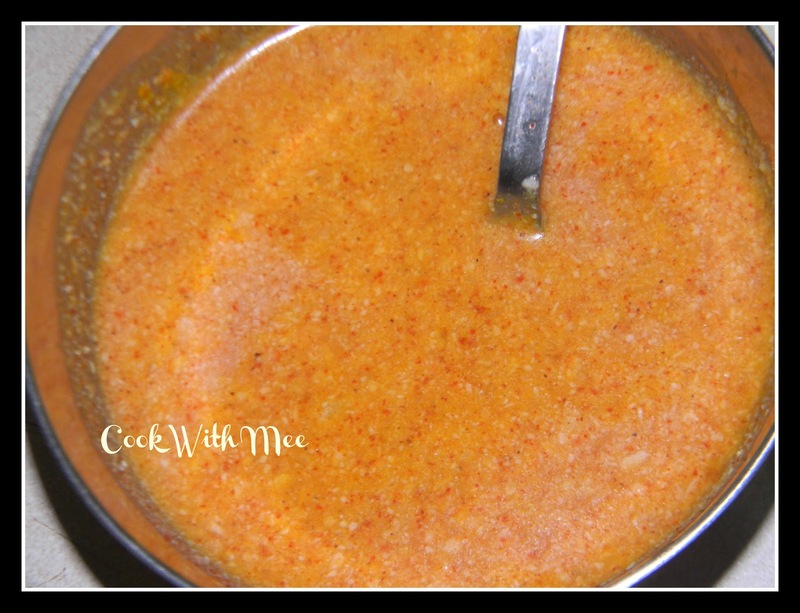 7.One tea spoon turmeric Powder, One tea spoon red chili powder, Few mustard seeds, Few fenugreek seeds. 8.One table spoon tamarind pulp water. Marinate the fish pieces with little turmeric powder and salt. Fry the fish pieces and keep it aside. 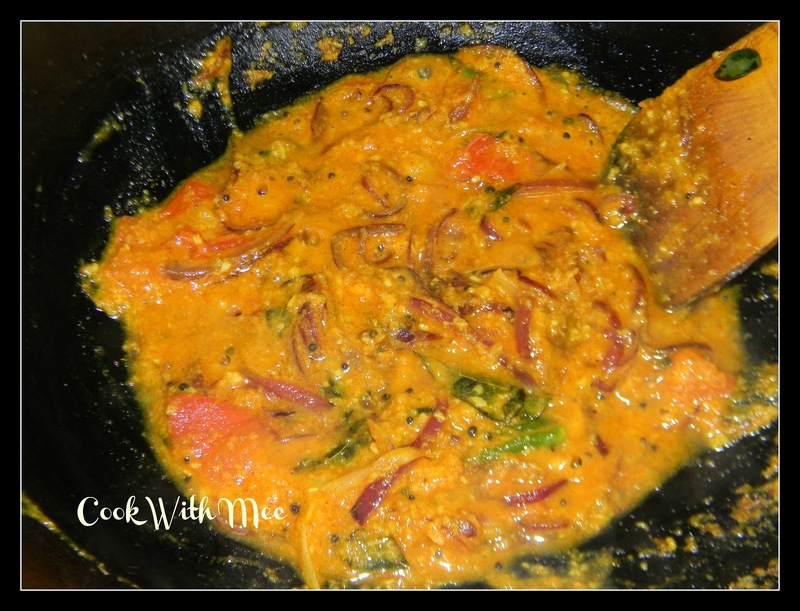 Now make a mixture with grated coconut, ginger garlic paste, turmeric powder, chili powder and tamarind pulp water. 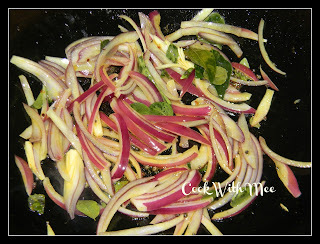 Now add oil in a vessel and add the mustard seeds and fenugreek seeds when it start splutter add sliced onion and curry leaves fry till the onions are golden brown. Now add the coconut and masala mixture with some salt and sugar. Cook till the oil come out. Now add little water and the fried fish pieces. Cook till the grave become thick.